please enter "BFaS - Jacksonville 2016 Your Name" in the title of e-mail. This information should be sent no later than on the 10th of March. Players not pre-registered may still play in tournament if we have any places available. However, they may use only one army list with its modification for playing against small skirmish forces. Army list will be checked before the tournament. Players registration will take place just before the tournament (12:30 pm) and then we will announce pairs for the first battle. 1. 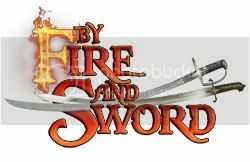 Games will be played at the Skirmish Level using the materials from “By Fire and Sword” main rulebook, “The Deluge” and "Armies of By Fire and Sword" supplements, FAQ and Errata. 2. Limited ammunition rule and all optional rules (excluding: Choosing an effects, Average Rolls and Group Orders) will be used, unless both players decide otherwise. 3. Points limit when fighting against a Small Skirmish Force is 7 FSP. 5. In the first battle the pairs shall be drawn so that armies of the same nations do not fight against each other (if possible). In the following battles players will be paired according to points scored, trying to avoid that armies of the same nations will fight against each other. 1. Army lists published in the By Fire and Sword main rulebook, “The Deluge” supplement and at the BFaS website can be used in the tournament, excluding forces with the Convoy Special Rule. 3. Each player must have one list with 7 or less FSP to be able to use it against Small Skirmish Forces. 5. In every battle you may use a different version of the Skirmish Force list of the nation of your choice. The version is chosen after you get to know what nation you will be facing. 7. The Polish-Lithuanian Commonwealth army will be divided into Polish, Lithuanian and Danzig armies. 8. In addition to their army the players should also bring as many field fortifications models as may be necessary for them. If a player does not have such fortifications they may not use them in a game. 4. Only Wargamer figures can be used. This does not apply to terrain elements, obstacles and field fortifications. Players score Small Points in a battle according to the level of victory. The player that lost receives 0 SP, and the winner gets the difference between the points he scored and the points scored by the opponent. - If there is still a tie the classification is decided by the result of a direct game between those players (number of Small Points in this game). - If there is still a tie the classification is decided by the number of Historical Victories. - If there is still a tie the classification is decided by the number of Strategic Victories. - If there is still a tie the classification is decided by the number of Tactical Victories. - If there is still a tie the classification is decided by fate (we will draw the winner for example by a throw of a coin – the winner gets the higher place and the looser gets the Wargamer ducat that was thrown). Also Brent would like a copy of the new army list book.